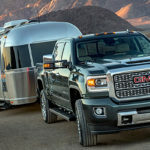 The rise in popularity of high-roof, Euro-style cargo vans has convinced many buyers to build the ultimate recreational vehicle. With their smooth ride, tight turning radius and fuel efficiency, the vehicles prove more attractive than lumbering vans of the past. They’re more affordable and economical than traditional motorhomes. There are four models van life experts typically choose from: the Ford Transit, Mercedes-Benz Sprinter, Nissan NV and Ram ProMaster. We asked leading customization shops for their top recommendations before embarking on a build. Here are their 10 top hacks to convert a high-roof, Euro-style van into a dream recreational vehicle. 1. What size engine is best for a Euro-style van RV? 2. How to organize RV storage space? is imperative – for everything from food and supplies to clothing and bedding. “It’s like designing a Swiss Army knife on wheels,” said Aaron Lane, spokesman for Creative Mobile Interiors. This ProMaster build by CMI illustrates the lengths that many will go to in order to optimize storage. 3. How to design RV sleeping space? Don’t forget to make proper sleeping arrangements. 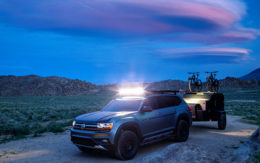 Rooftop tents and hammocks are fine occasionally, but a dedicated sleeping space is crucial for long trips, said Raymond Barre, owner of RB Components. Fixed beds are one solution, and extended wheelbase vans provide plenty of room. Owners without the luxury of space can opt for a pull-out couch, or folding panels that can be laid flat to support a mattress. The best part? The panels stow away when not in use. 4. How much battery capacity does my RV need? A strong source of electrical power is vital. 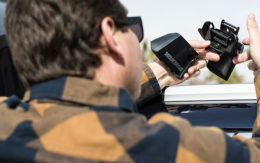 In addition to the van’s starter battery, which can power the vehicle and some small devices, a larger capacity system is needed for components like a microwave or air conditioning when the van isn’t running. “If you want to use a van off-grid without a plug-in, you definitely want a lot of battery capacity,” said Chris Schey, spokesman for Outside Van. Vans will need inverters to change DC input power to AC output power. Inverters with between 1,000 watts and 2,000 watts of power will meet the needs of most users, Schey said. Solar power also helps. Many rooftop units are available. Some solar panels will even fold out to lay flat outside the van too. 5. How to manage water in an RV? can help an otherwise complicated system remain simple. Keep in mind what you’ll be using it for, how often, and for how many people. “How comfortable do you want to be?” said Gorham of Aluminess. A van with a full shower, toilet and kitchen galley will need much more water storage than one that only needs enough for washing and cleaning. Don’t forget to drain used water into a grey water tank until it can be safely emptied. The standard air conditioning ducts in your dashboard won’t be of much help. “Some people are fine cracking a window, but most want climate control,” Lane said. The Mercedes-Benz Sprinter van comes with a factory A/C unit mounted to the roof, but even that needs the vehicle running to operate. For true off-grid cooling you’ll need an aftermarket unit, though they can be pricey and require RV hookups, or shore power. In the future, 12-volt A/C units that run on batteries are rapidly improving, Lane said. , reflective insulation or simple carpeting, that extra layer of protection can fend off frigid climates during those ski trips into the mountains. Diesel air heaters, such as those by Webasto and Espar, offer an additional blast of warmth while running off the vehicle’s fuel supply. 8. Should I have a four-wheel drive RV? Only one Euro-style van offers four-wheel drive in the U.S. – the Mercedes-Benz Sprinter van. And with a low supply and long delivery times, the 4×4 model is in high demand. Many custom shops, like RB Components, recommend that their customers seek out the Sprinter 4×4, not only for the rugged off-road capability but also because the resale value is significantly higher than on standard models. 9. What tires are best for a Euro-style RV? 10. What recovery gear does an RV need? are built to enable emergency repairs, and the Australian company Maxtrax builds “sand ladders” that specialize in pulling vehicles out of sand and mud. Aluminess also builds front-end bumpers to accommodate a winch from brands like Warn and Mile Marker.